Lcc and holiday snow are NOT a good mix! More buses and parking at the bottom with a toll if you want to drive yourself. That road just can't support those two resorts during peak or snowy times. Im still new around here and learning the drill but taking cars off the road is the only thing I can come up with. I was at Snowbird the 13 - 18 skiing and it was much busier than years passed, my observation is the with the city growing at the pace it is this is only going to get worse. I skied there in the late 80's and its incredible the difference in traffic on and off the hill. I have no real solutions. Good snow , good economy certainly is making untracked powder skiing a one run event at LLC. cosmoliu, Shawn C. and RJS like this. Even if you fix the traffic issue by coming up with some public transit/toll solution, you still have an increasing number of people skiing in the Cottonwoods thanks to a growing population and the Cottonwoods resorts being included on passes like the Ikon and Mountain Collective. As snowfall becomes more volatile thanks to a warming climate, the high, consistent snowfall of the Cottonwoods ensures that they will continue to be popular resorts for destination skiers. Unless terrain is expanded, the resorts and Wasatch backcountry will keep getting more crowded. I'm not optimistic that more expansion will happen given intensive opposition from Save Our Canyons and other backcountry groups who would prefer that resorts stick to their existing boundaries (or go out of business). I believe that Snowbird has approval for expansion into Mary Ellen Gulch, but has no immediate plans to do so. Alta isn't including Grizzly Gulch in a land exchange for a host of reasons, which means that they have the option to develop it in the future. Deer Valley has been planning a large expansion down towards the Jordanelle Reservoir, though the new terrain will be low elevation and mostly geared towards new condo/base area development. Nordic Valley has proposed a massive expansion, but are already running into opposition. Park City has actually lost terrain this season thanks to an agreement with a private landowner expiring. Then there's the whole One Wasatch concept, which mostly is about linking together the Wasatch resorts, but in the process of doing that also creates some new terrain. Terrain isn't the problem, it's getting to the terrain and parking below it. Snowbird has immediate plans to develop Mary Ellen as in they're doing EIS studies currently. Baseline studies have already started, numerous plans have been submitted to the FS. Alta is pulling a taking my ball and going home move, they operate on public land and want to bottle up the little bit of the remaining lands for themselves. Deer Valley has had a base down at Jordanelle for a while, one that you're three lifts away from actually skiing. None of the linking up of the resorts comes even close to solving the problem. The problem is the best snow and best terrain lie at the top of two steep and snowy canyons. You can add terrain till the cows come home but it won't solve how we have to get there. Shawn C., Spooky, Phelmut and 1 other person like this. A good old fashioned cogwheel train tunneling through the mountains from the base of LCC to a station that would have to be constructed between Alta and Snowbird could be a viable solution. 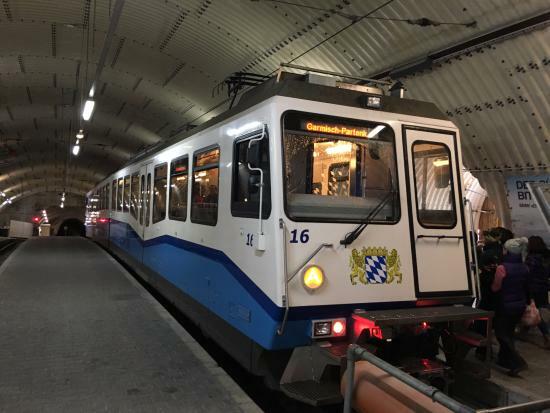 It would only have to be about 5-6 miles in length and I can think of at least three examples of this kind of transit system of comparable length in the Alps at the Zugspitze, Jungfrau, and Kaprun. Zugspitze Railway Germany inside summit station. I rode this train in 1983. This is old/well-understood technology the Europeans have been doing for a century+ and would be no problem to build in Utah with possibly reduced environmental impact as it goes deep inside the mountains. 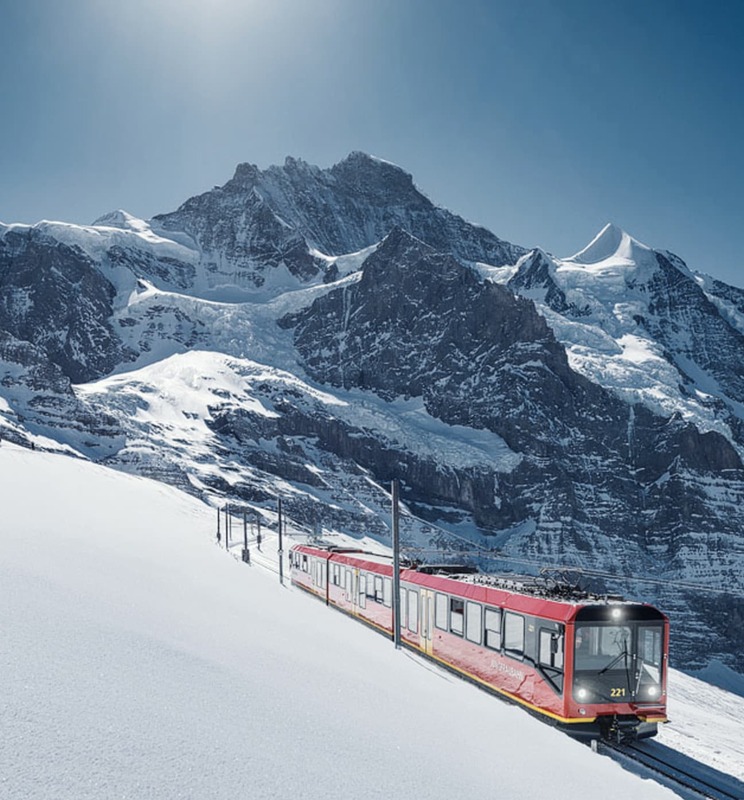 Jungfrau Railway Switzerland, before entering tunnel to climb to summit station elev 11,300', capacity 230 passengers. Kaprun Railway Austria, base station and entrance to tunnel heading upwards. Check the link for this train, sad history, but the technology exists to do this kind of transportation safely. There are cogwheel trains all over the globe (Mt Washington, NH for example), but those that tunnel inside a mountain to reach a summit are a bit more rare. Rostapher, Slim, BobMc and 1 other person like this. Decreed_It, Mothertucker, Shawn C. and 1 other person like this. Not the Little, but shows how bad it can be, lol. blackke17, cosmoliu and Wasatchman like this. BobMc, Slim, blackke17 and 1 other person like this. Yes, not a trivial point! $$$ = the Alta/Bird resorts should kick in some, the skiing public should help through increased ticket prices, and grants from State of Utah and local SLC municipalities (including the Airport) that benefit from the tourist traffic to LCC. Another Saturday of sun, snow and crowds. The skiing was great once you got to it. Red snake going up the canyon again this morning. The lots filled up, Alta closed their lots to everyone but busses and shuttles at 11:30. Snowbird was road parked early. Skied till 2:30, road was stacking up at that point so we waited it out. Left the bypass at 5:30 after watching the traffic barely crawl past us. Slim and cosmoliu like this. Once again it was a slog up the LCC today, there’s traffic early and often. I went by entry 2 at 9:07 and they were parking people on the road. Skiing is stellar, the mountain eats up the crowds, once you are there. Hit up Mineral early and then get out is still the tactic. The entire mountain is still soft, we even caught some fat lines off the Red Lens when it opened for the first time since the storm cycle. There’s no hint of hardness, chalk is the order of the day. I bolted at 2:00 today and missed out another suredly slow drive down the canyon. Rostapher, Slim, blackke17 and 2 others like this. FYI, for people heading to LCC on the Ikon pass, the Ikon works as an AltaBird pass meaning you can ski both the same day. I searched all around and couldn’t find a clear unambiguous answer, so I wrote Alta directly, here’s their email from today. Thought people checking out the LCC thread might want to know. *You can ski both Alta and Snowbird on the SAME DAY. *It is also a direct to lift pass. The snow has been great, have a wonderful time on your visit! Yes, I used the Ikon pass a couple of weeks ago. Started by beeping the pass through the Tram maze and crossed over the top of Mineral Basin through the Alta shack at the top without a missing a beat. And it was direct-to-lift. Interesting to have both an Ikon pass and a Snowbird season pass this year. Getting the Snowbird pass was necessary for the number of days exceeding 7 that I planned to be at Snowbird. Having the Ikon at the ready is very handy if I am meeting someone over at Alta, or just want to complicate my day. Yesterday was a bit scratchy, thankfully we got a refresh overnight. I’d alerted my compatriots that if there was a canyon closure I wasn’t down with sitting in my car. Sure enough, canyon closure this morning, at 5am I sent out the text we were going to the Deer Valley back up plan. We were crafty enough to not be enticed by that Jordanelle entrance. Even though Sundance is nearby it wasn't busy in town, we breezed right through to Snow Park. We hit up the early Silver Lake express and headed down to Wasatch and made a beeline to Mayflower. It was nice to get away from the rat race of LCC, we were able to lap Mayflower for a bit taking advantage of walk on lifts and no pressure for the fresh. I don’t normally walk uphill at snowbird too much as its usually to ski beat out terrain. We hit Ontario three times today to find fat lines each pass through. $2375 is the only thing keeping me from regularly bypassing the traffic. Shawn C., KingGrump, blackke17 and 1 other person like this. At snowbird I actually pulled into pretty much the same parking spot at 9:30 today that I had on Friday maybe a half hour earlier. The drive was a bit slow but sooo worth it. I had a breakthrough in my powder skiing today when I figured out how to use the rocker on my new Kore 93s and stopped trying to ski them like my 1080 moguls. So much easier that way. They had mineral basin closed for much of the day but I caught some freshies after they did open it probably because nobody could see them in the storm. Another powder day at Snowbird with free refills. Visibility was iffy at best and occasionally nonexistent. Mineral basin never opened and they stopped the tram early because of wind but the lines were silly for a Monday anyway so I only rode it twice before that. I only went out on the Circe once and skied over a sea of chocolate chips on my new skis. The pow I got to ski lessened the sting significantly. I still found plenty off Peruvian, Gad 2 and Gadzoom. Shawn C. and BobMc like this. Once again stiff traffic problems were encountered by those attempting to ski in Little Cottonwood Canyon. We hit pretty stiff resistance at the fire station, we had just about made it to the merge with 9400s when the rather meager forward momentum ground to a halt. A tweet was soon forthcoming that there was an accident and clean up was being attempted. After about 20 minutes we regained some semblance of upward gain, soon to be stymied be intermittent pauses. This continued till we arrived at a road parking Snowbird. The preferred parking pass again paid off, parked rockstar like at the pond lot. Gad 2 opened today, but not much else. The snow was definitely wind effected last night, you can see the ripples on all the unskied area. The unskied terrain is probably going to ski a bit heavy when it does open. Patrol was working hard on the Peruvian side today but it never opened, nor Mineral, RTP, or anything near Baby Thunder. We’ve got a lot of snow recently combined with some fierce winds, it may be a bit before we see everything open. High fashion season is here. Hope to be on first tram tomorrow morning, barring traffic, heh. Shawn C., Ogg and cosmoliu like this.